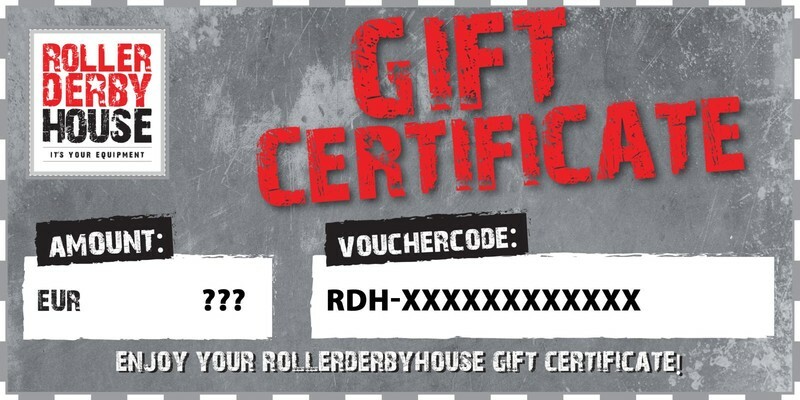 Make your loved ones happy - give away the gift certificate from RollerDerbyHouse. 1) Add the gift certificate voucher to the shopping cart. 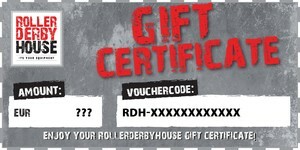 3) If you choose to receive the gift certificate by email it will be sent on the next business day at the latest. 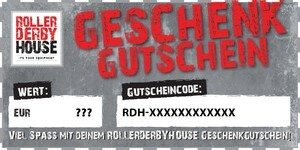 4) Using the specified voucher code, you can redeem the voucher in our online shop or our store. NOTE: Payment is only possible by wire-transfer, PayPal or credit card. In case you combine the purchase of the gift certificate with other stuff, the gift certificate will be included in the parcel in paper format and all payment options are possible. 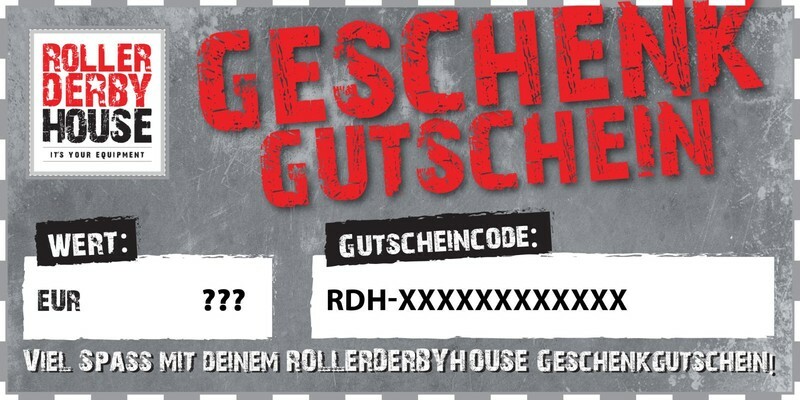 - When purchasing the gift certificate from a non-EC country you will not pay german VAT. So the gift certificate will have the value of the real amount you have paid.